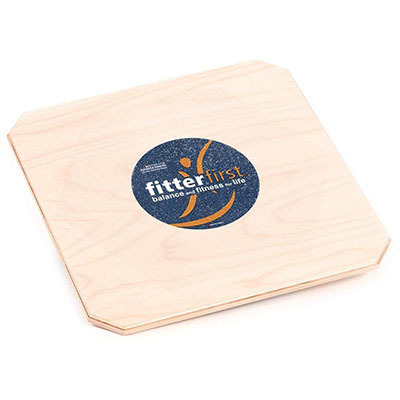 Balance boards can be used for balance, coordination, ankle and knee strengthening and rehabilitation, ankle range-of-motion and flexibility, core stability, improved posture, and proprioceptive training. 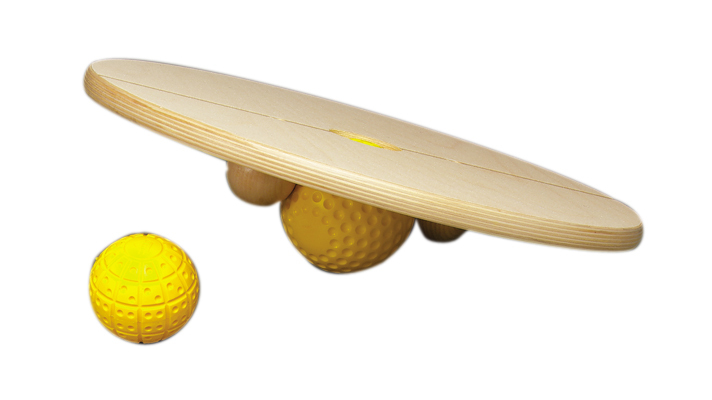 Several styles of rocker and wobble boards, as well as other balance products are available. Dimensions: 16" x 6" x 16"
Dimensions: 20" x 6" x 10"
Dimensions: 14" x 6" x 14"
Dimensions: 20" x 4" x 20"
Dimensions: 16" x 4" x 16"
Dimensions: 36" x 4" x 4"
Anti-slip base design with a sensory stimulation surface to offer a new performance level to balance training. 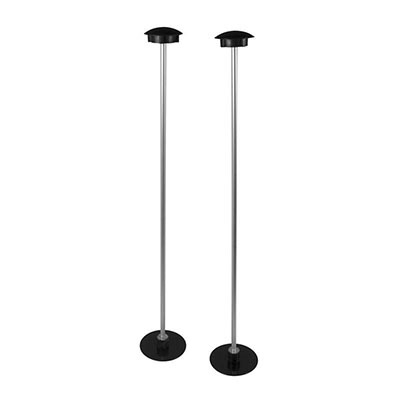 Made from lightweight molded plastic. 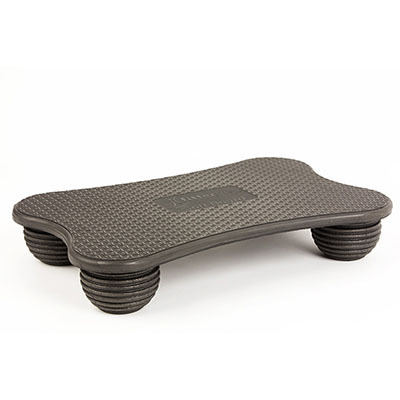 Rocker board only moves forward and back and therefore provides more stability and security than a wobble board. 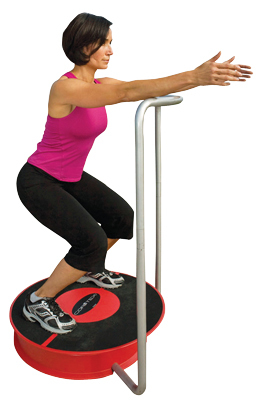 Dimensions: 3" x 18" x 15"
Dimensions: 4" x 15" x 15"
Dimensions: 30" x 7" x 30"
Rocking on board stimulates balance control and vestibular responses. 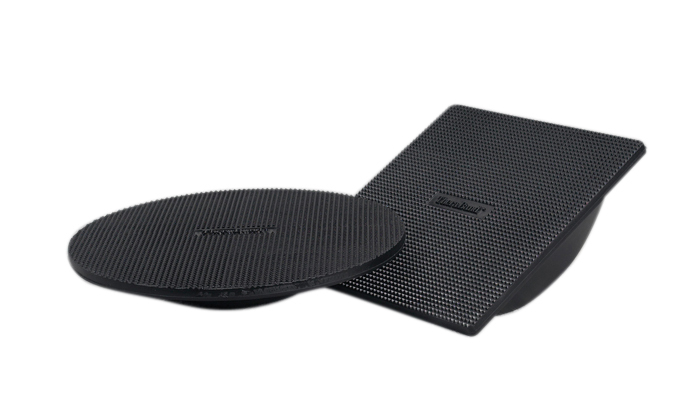 Board is covered with non-slip surface. 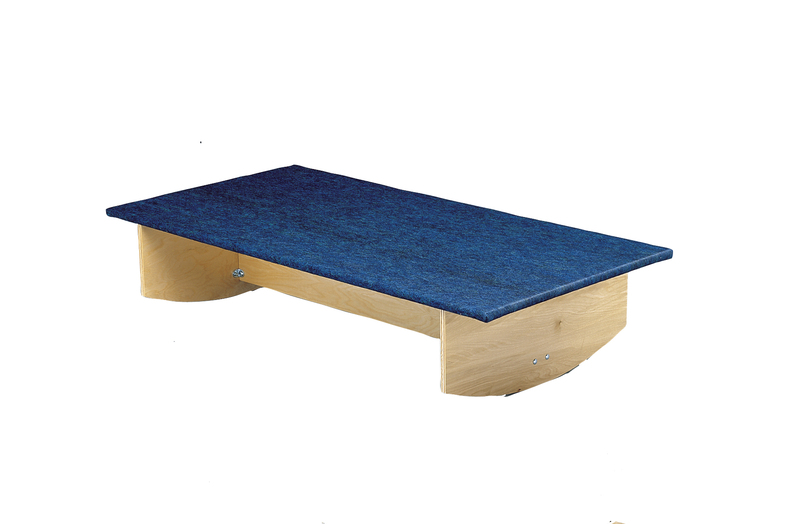 Oversize 30 x 60 x 12 inch rocker board moves side-to-side. 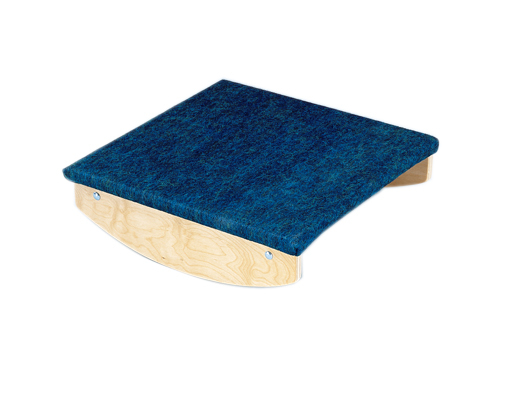 Dimensions: 30" x 12" x 60"
Rocking on board stimulates balance control and vestibular responses. 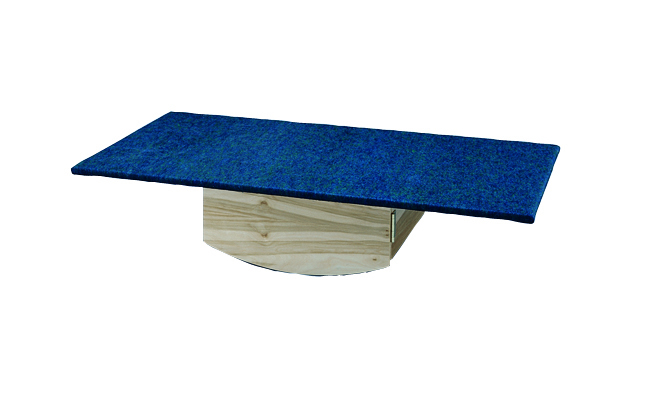 Board is covered with non-slip surface. 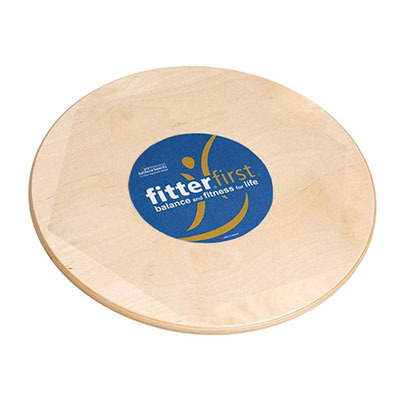 Oversize 30 x 60 x 12 inch rocker board moves front-to-back. 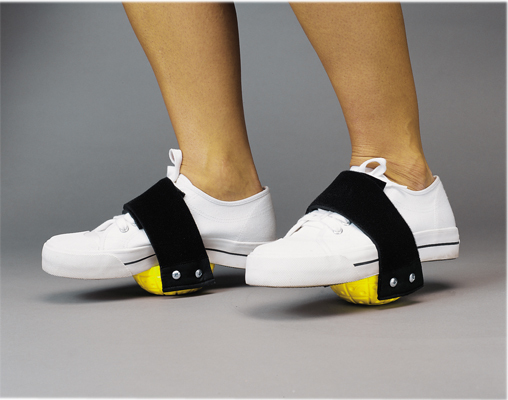 Rocking on board stimulates balance control and vestibular responses. Board is covered with non-slip surface. 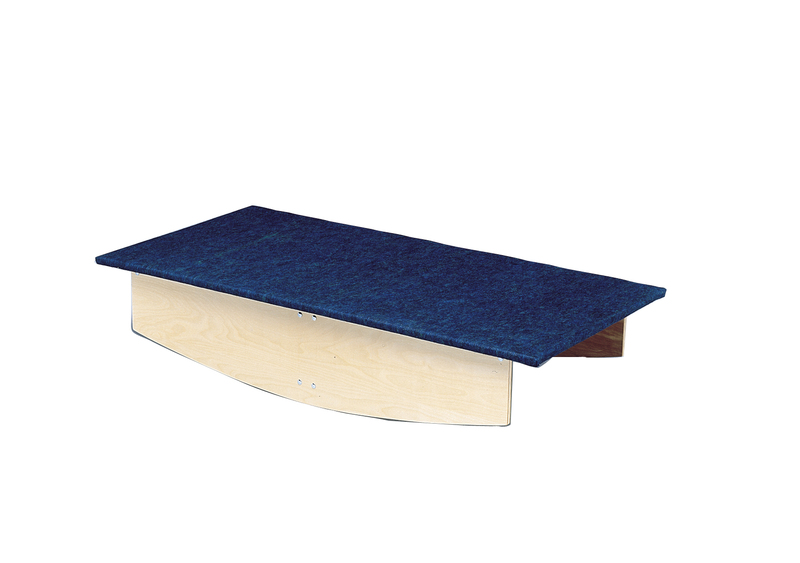 Deluxe oversize 30 x 60 x 12 inch rocker board moves both side-to-side and front-to-back. 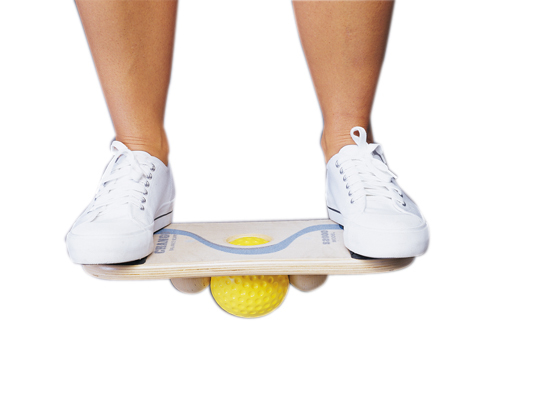 Rocking on board stimulates balance control and vestibular responses. 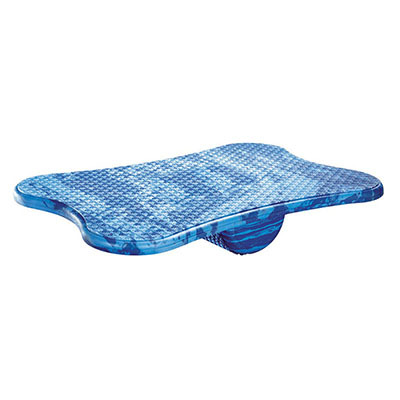 Board is covered with non-slip surface. 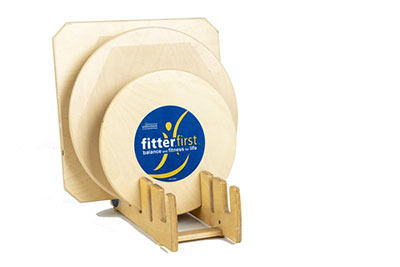 Standard size 18 x 18 x 5 inch rocker board moves both side-to-side and front-to-back. Dimensions: 18" x 5" x 18"